Pick this Extremely Beautiful Fountain Pen from Sheaffer for the dearest people in your life to make them feel special and loved. The Finish is Matte, and covers the entire capped Pen except for the Ring between the Cap and Body and the Pen Clip. 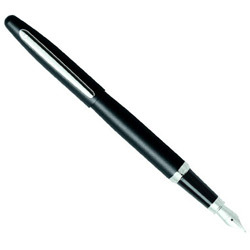 The Medium sized Nib is made of Stainless Steel.